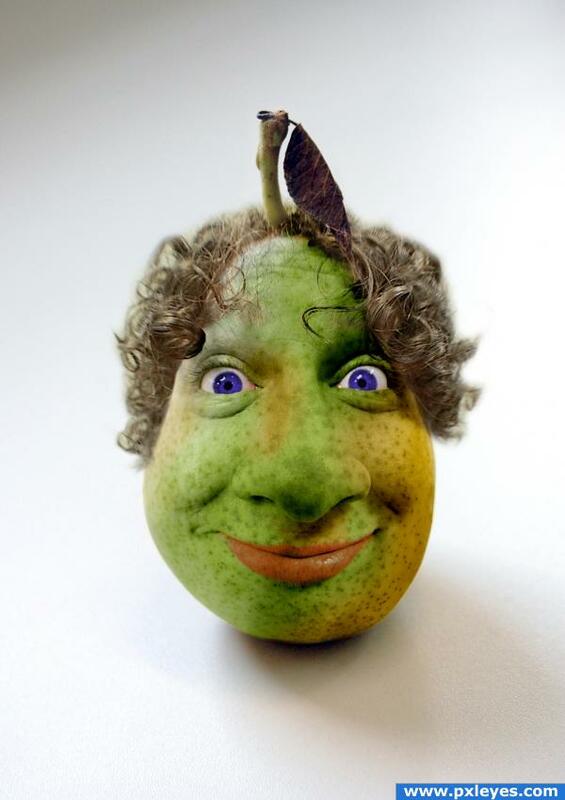 Pick any choice of fruits or vegetables and make them look like people. Give them as much human features as possible. I have added some text to the SBS, hope it make sence now. She is so funny! lol Good Luck Author. ahahahahah...just love this!! hee hee heee!!!! this dude is hilarious!! the detail on the laughter lines... SUPER!!! Great job and good luck! congrats on 1st place! you had me beat by .1% !!! soooo close! @oliviasarts i was originally going to use a childs face crying or in shock with the top half cut off and falling with a puddle of applejuice on the tabel. lol. didnt work out. Amazing work, nice idea and result! Doesn't look to happy to me. Nice job! Oh well done!!! 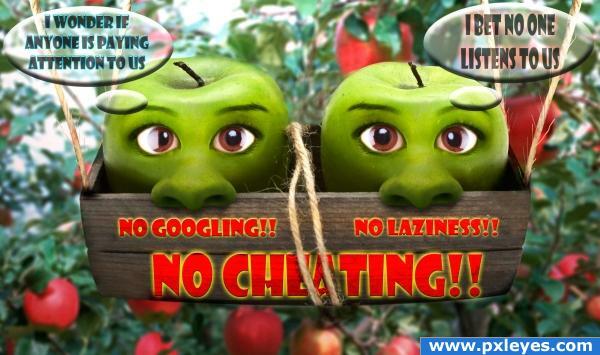 amazingilngly real ..!!!! "i made a final hue and saturation adjustment layer colorized it and set it to a reddish blue (sort of) and set the blending mode to screen. i ended up getting the exact vintage overexposed, washed out, yet high contrast effect i was hoping for the whole time." thanks guys for all the awesome comments. Super! Good job, and good luck! Oh, my! Author, I can't find words for how much it makes me go "ahhhh..." and "ohhhh..." Nice work. I like the choice of face. 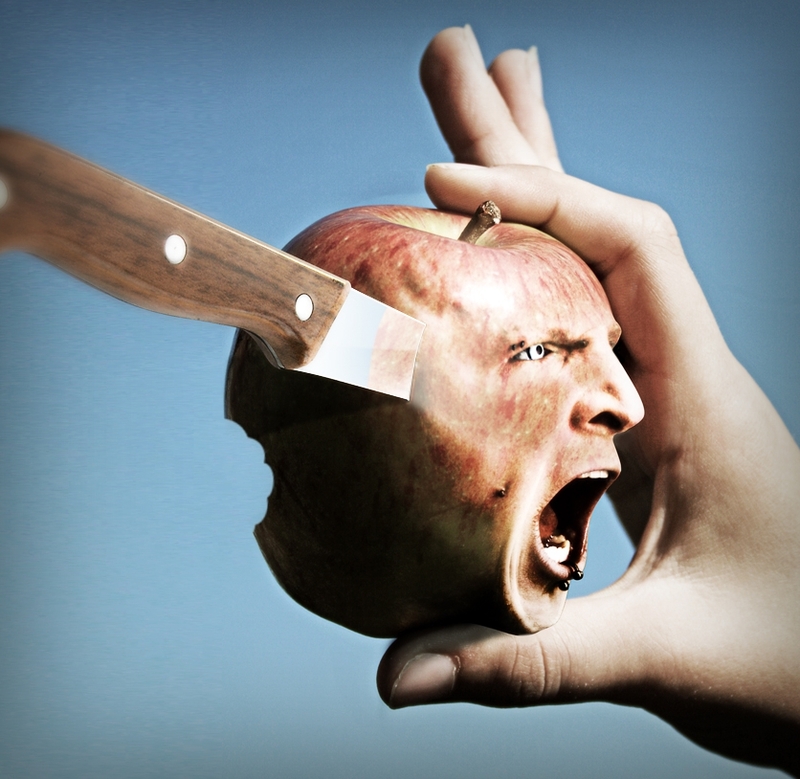 Fits the wet apple beautifully. Darken the nostrils a bit with a neutral ish shadow and it'll rock! Excellent technique...! Very good entry! Love it! Best of luck! 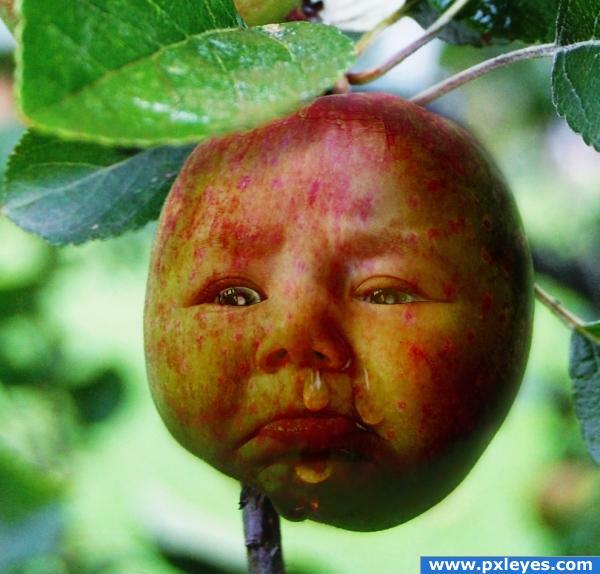 sad lil apple but well done congrats! This one made me smile!! 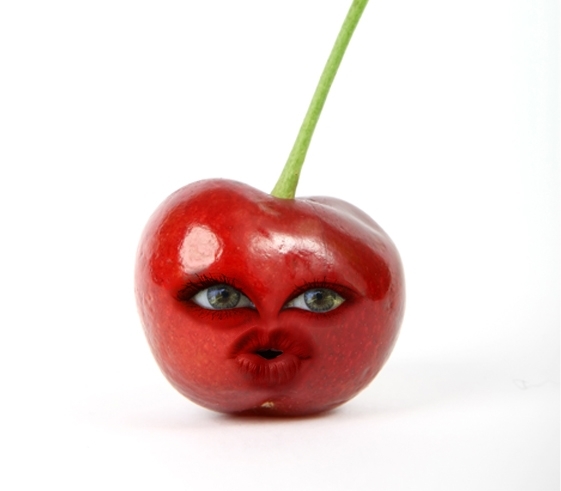 omg dont u just wanna kiss that cherry!!! I like the image overall, but the eye on the left of the image (Her right eye) has a red outline thet doesn;t match the highlight of the cherry, and it looks a little dark, maybe try clonestamping the left bit of the cherry to make it fit. Other than that, i really like the image. Good luck!